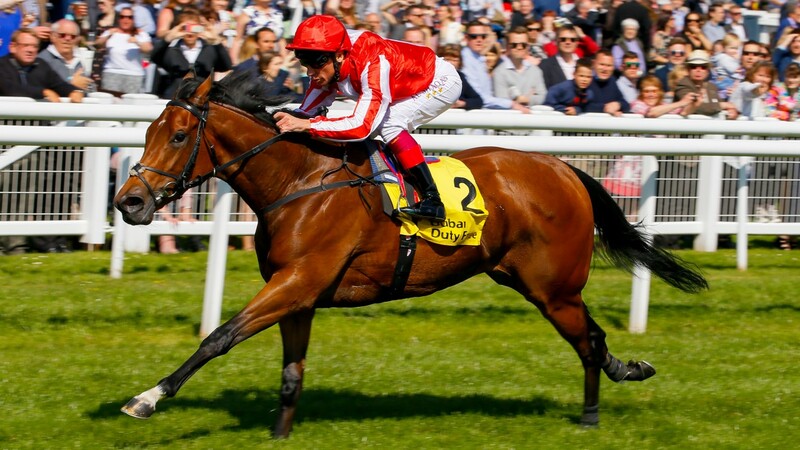 Dabyah was the latest filly from John Gosden’s powerful team to stake her Classic credentials with a clear-cut success that had some bookmakers shortening her to clear second best in the Qipco 1,000 Guineas market, despite the odds seeming stacked with her heading to Deauville for the French equivalent. Gosden has monopolised the fillies’ Classic trials this week with stablemate Daban, who like Dabyah carries the red and white silks of owner Addullah Saeed Al Naboodah, taking the Nell Gwyn Stakes at Newmarket on Wednesday. Yet despite Dabyah shortening to a low of 6-1 for the Newmarket Guineas after her winning return and Daban still as big as 14-1 for the same race, it is the Nell Gwyn winner who appears destined for the home Classic. Paddy Power installed Dabyah at 4-1 for the French 1,000 Guineas and the owner’s racing manager Bruce Raymond also seemed to favour sending her across the channel on May 13. There is no questions regarding the target of runner-up Urban Fox, who heads straight to Newmarket on May 7. Trainer James Tate said: "She had a setback six weeks ago and has not done as much work as we wanted. We used this as a trial and I'm delighted and she'll improve going a mile." Rhododendron, last year’s leading juvenile filly, remains a general 5-2 favourite for Newmarket and after stablemate Rain Goddess could finish only fourth, following the disappointing runs of Roly Poly and Brave Anna at Newmarket, her place at the top of the Ballydoyle pecking order is undiminished.